Tonight, or rather early this morning I am in Munich Germany for the Oktoberfest, but over the past two days Judy and I have been to the Dachau Concentration Camp and the Palace of Justive in Nuremberg. I have been to Dachau before, nearly twenty years ago, but Judy has never been there. It is a sobering site. Dachau was not an extermination camp like Auschwitz, but rather a place to imprison polical, religious, and other opponents and undesirables, but also to humiliate them and take away any shred of their humanity before killing them through torture, starvation, medical experiments, or other repressive measures. 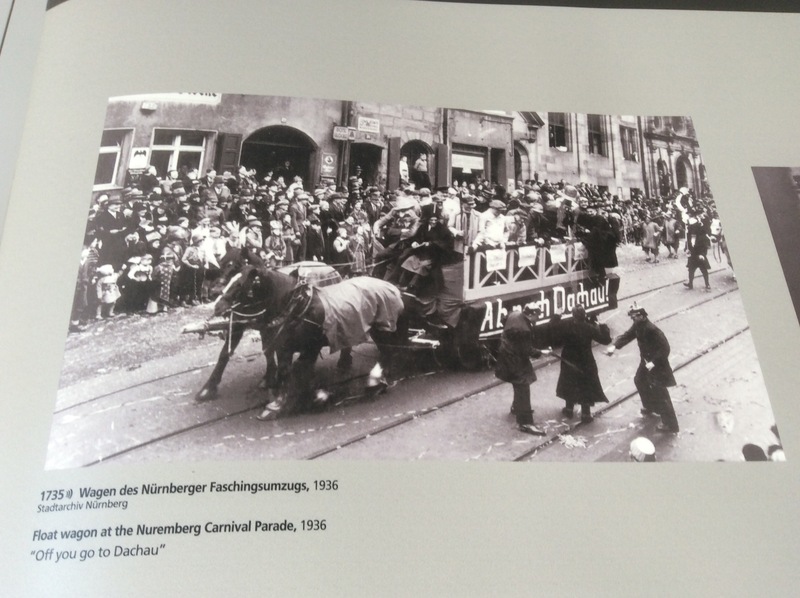 The exhibits even detailed things that ordinary Germans, and Nazi Party members bragged about “taking people to Dachau” on floats during festival times at their version of Carnival. Dachau was not an extermination camp like Auschwitz, it was a camp designed to crush political, religious, and racial,opposition to the Nazi state, that the Nazis were proud of it. I was the pioneer, it was the “model camp” on which all subsequent camps in the Nazi system used in dealing with the enemies of the Nazi state. When you go to Dachau the documentary evidence is overwhelming and the physical images, the preservation of the devices of torture, and killing all to real to deny. What happened there was beyond the imagination. 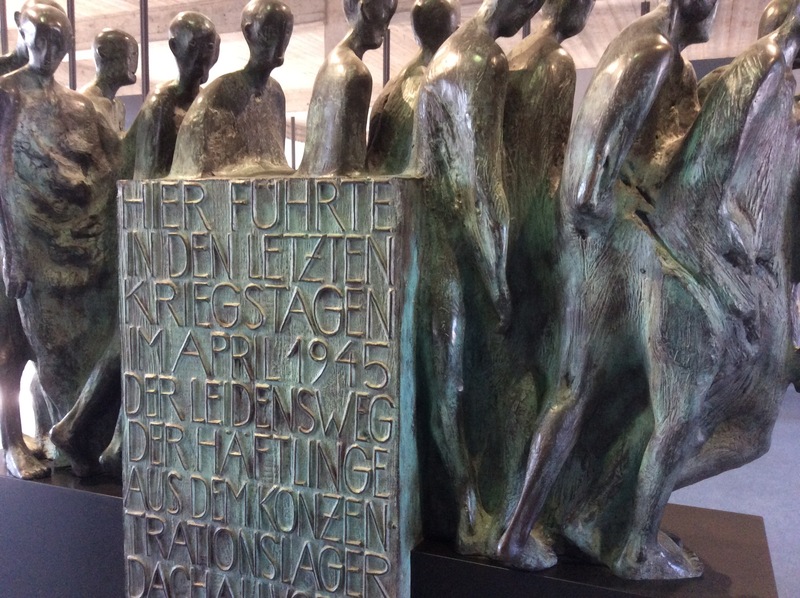 The people initially rounded up by the Nazis and sent to Dachau were political, social, and religious leaders who had stood against them before the takeover. 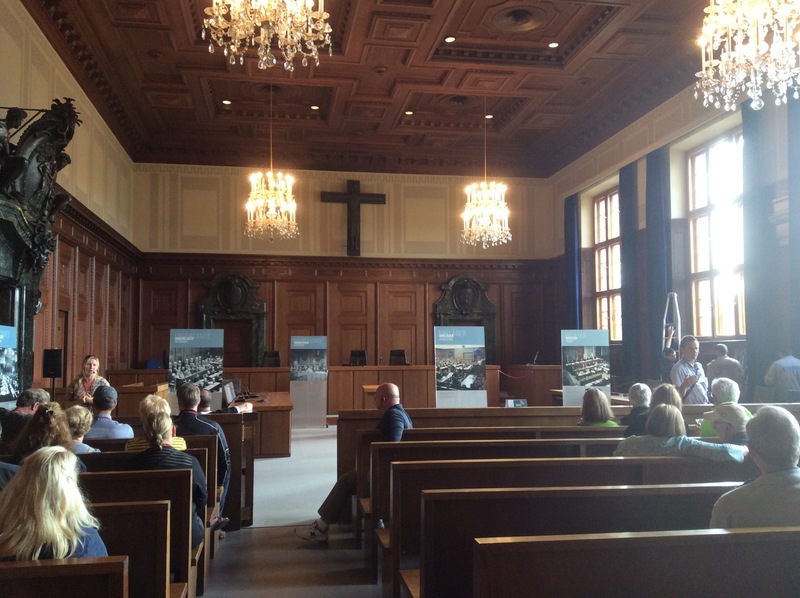 Any accusation was good enough for the Nazis to arrest, imprision, persecute, torture, and kill these men and women, and many of those decisions came in Saal 600, the main courtroom in Nuremberg’s Palace of Justice, the very courtroom that within 13 years would be the site of the Nuremberg trials, both the trials of the major war criminals, but also the leaders of the military, the SS, the mass murder units of the Einsatzgruppen, the doctors who committed inhuman medical experiments on innocent people, and who exterminated the disabled, the judges who adapted themselves to serve the Nazi regime, the corporations like Krupp and I G Farben, as well as the leaders of Nazi organizations. The two locations are two sides of the same coin. The Nazi defeat allowed Dachau to be seen and exposed as a place of horror that the Nazi we’re proud of and of which many German citizens approved. The trials at Nuremberg demonstrated to the world that a modern, civilized, cultured, and dare I say “Christian” nation in a very short time can become a criminal state, committing genocide as just one of many crimes against humanity. In that time many otherwise moral, upstanding people, either signed on and became participants in those crimes or said nothing against those crimes. These places also remind all of us that the what the Nazis did could be repeated in otherwise civilized Western nations, including the United States. When one hears some of the policy statements of Donald Trump, and the actions of his supporters one cannot help to be reminded of the last few years before the Nazi takeover and what happened in its aftermath. One cannot with an open mind and listening ear interpret his words and some of his supporters actions in any other way. That my friends is frieghtening. For me these trips amidst a visit to the Oktoberfest in Munich were important. While I have been to Dachau some twenty years ago, that site has been improved with the work that has been done in the museum. Likewise, the museum for the Nuremberg trials let me imagine being in that courtroom that I teach about in my ethics class at the Staff College, a class when I try to implant in the minds of the men and women who will be the future Generals, and Admirlas of not only own nation, but of our allied nation partners, that what they do in positive ways, as well as negative ways matters from more than a military viewpoint. Well it is very late, it has been a long day and when we get up we have some plans. So have a great day.